Thanks Julie! 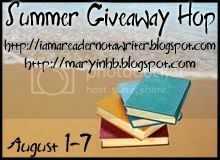 There are tons of blogs for this giveaway, but I definitely appreciate you entering mine! Thanks so much for the giveaway! That is a cool looking tote. BLHmistress: Thank you! And Thank you for participating!